Flown over from Knoxville, the hard to find White Stripes Record Store Day 2011 Marbled releases and Karen Elson ‘Petal’ Clear vinyl, thanks to Sean. 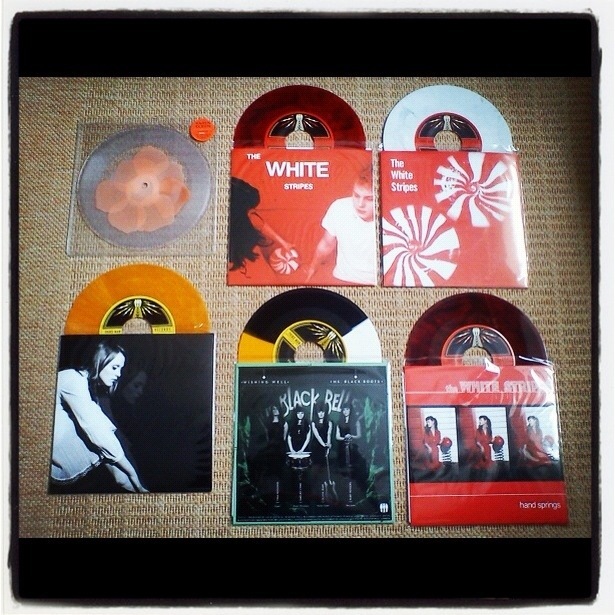 The 2 UK RSD 2012 releases of the honey coloured Karen Elson 7″ and the White Stripes Transparent red 7″. Finally the Black Belles Tri-color limited to just 100 worldwide which was only available at the top 5 record stores in the UK for one day only, 20 at each store. Great additions to my collection.